Few days back, after creating a xenserver i found that there no template available for creating Ubuntu 16.04 LTS vm, even their was no template for Ubuntu 14.04 LTS. So first I had added template of required Ubuntu version in xenserver. Use this article to add new template for Ubuntu 16.04 LTS operating system. 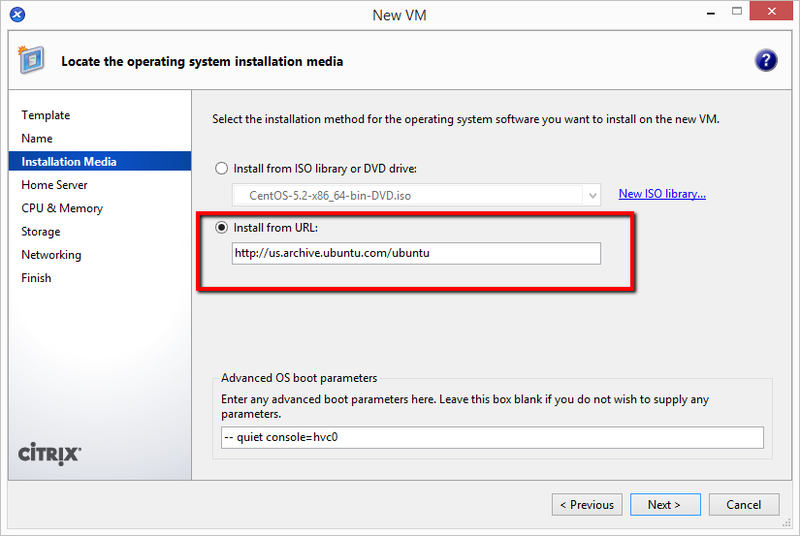 This tutorial will help you to create Ubuntu 16.04 LTS vm using netboot url on citrix xenserver. Now input name for the newly creating vm and a meaningful description. Description can be like purpose of creating vm. specs of vm etc. Select installation media source. If you have already have ISO, select first option and choose ISO from library. Else you can use second option to install using net install url. Enter http://us.archive.ubuntu.com/ubuntu as netinstall url. 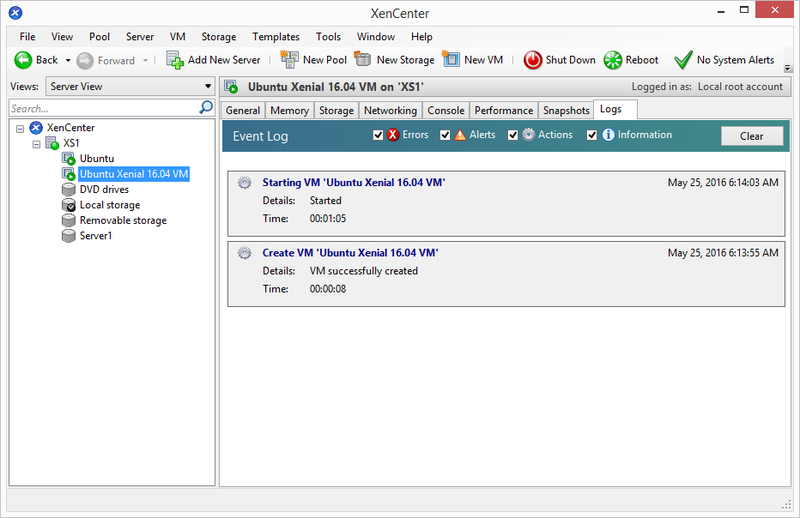 Here you need to select the xenserver on which you need to create vm. 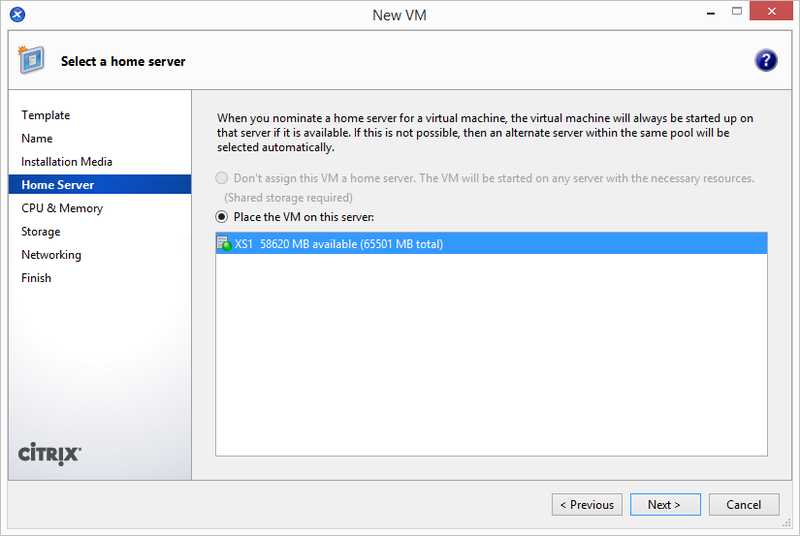 By default it will select the xenserver which you selected during virtual machine creating start. For this tutorial we have only one xenserver here. 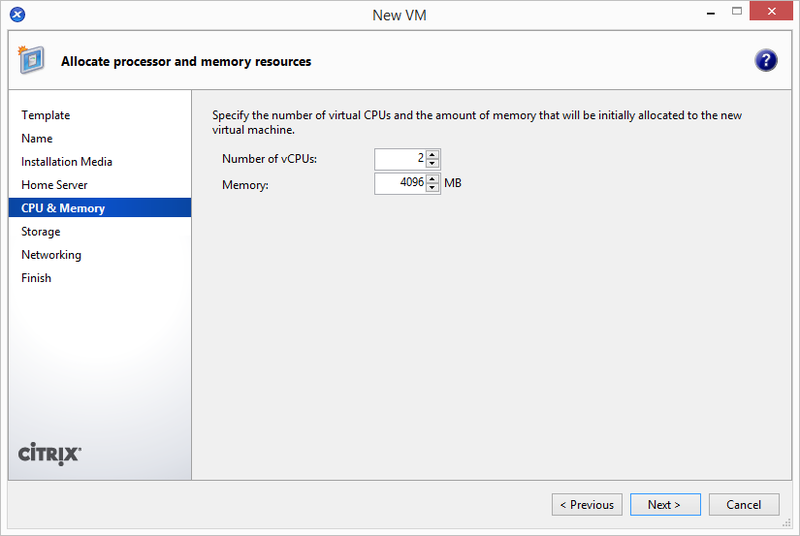 Now select the number of virtual cpus for your new vm and memory to be allocate to this new vm. Now select the size of storage. By default it uses 8GB (According to configure in template), but you can change it by clicking Properties button. 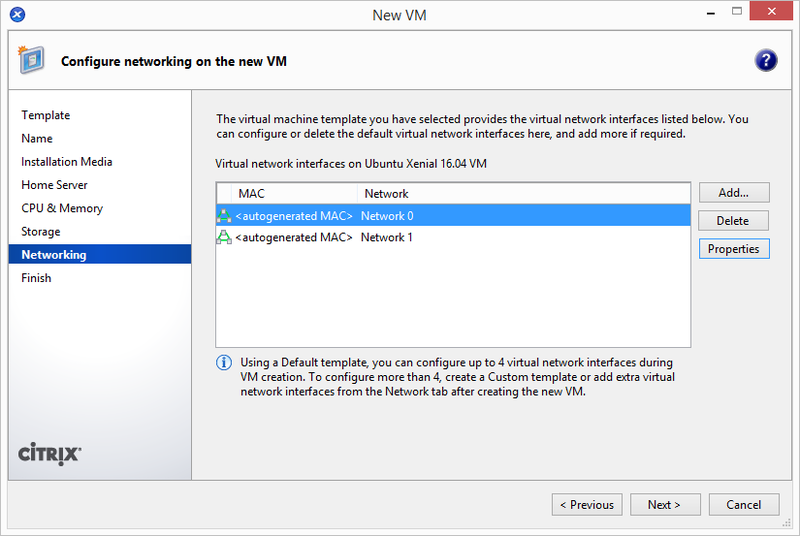 Select the network interfaces to be attached to your vm. use Add or Delete button to manage network interface. Using properties button you can manage mac addressing on interfaces. 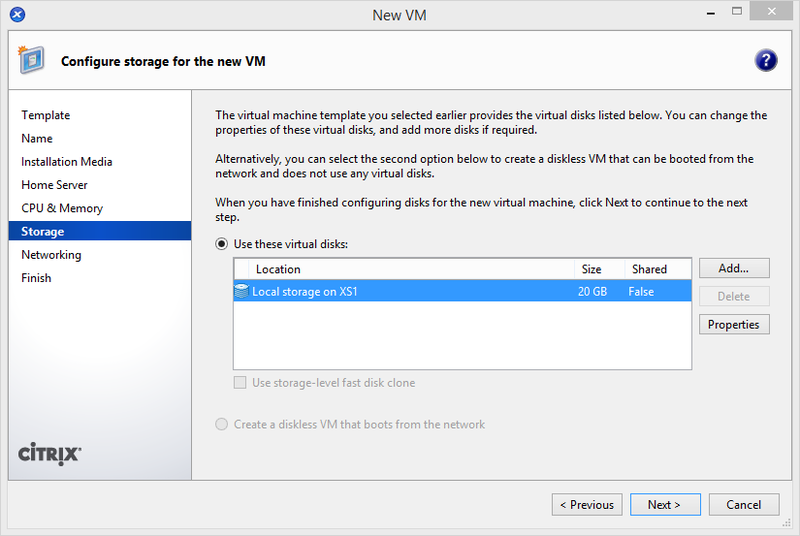 Now check the details for new vm creating. 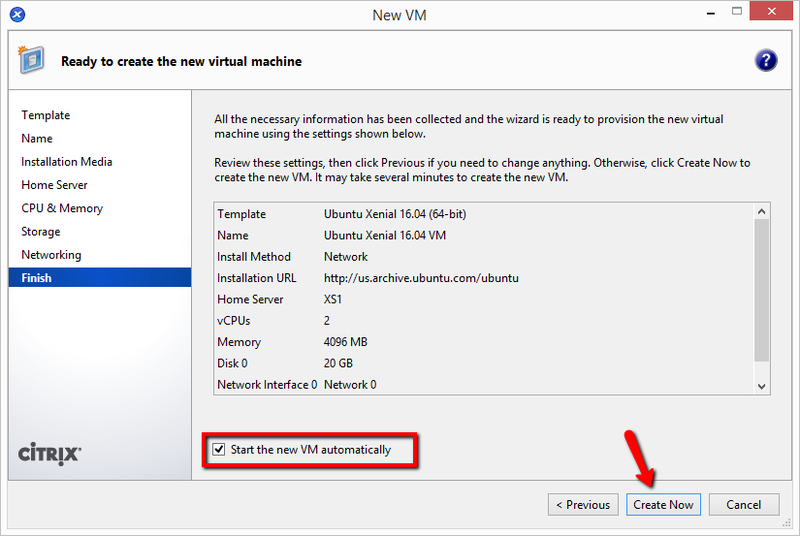 Select the option “Start the new VM automatically” to boot vm immediate after creation. Wait until new vm created and booted successfully. You can find the log messages in logs tab. If everything goes successfully you will get screen something like below. Where your operating system installation screen appears. Now follow the on screen instructions to complete the installation. Nice Sharing Rahul about Ubuntu. Will implement on my server for my Pinoy TV website. Thank you. Thanks for sharing the information. But I am unable to install the Ubuntu 16 on XenCenter VM. 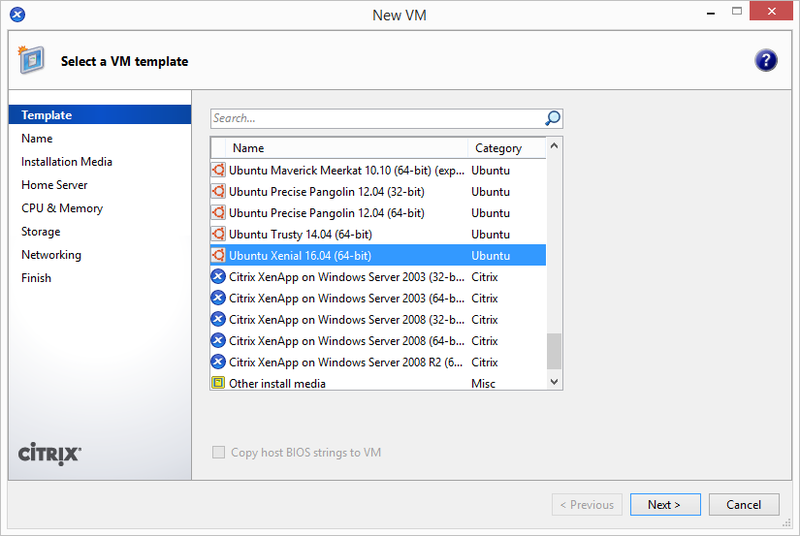 Great to read about Create Ubuntu 16.04 LTS VM in XenServer 6.2! By the way, I will share this post on my Facebook post to see my friends. You can now contact London escorts service easily. Thank you so much and keep posting things like this. Brilliant tutorial to Create Ubuntu 16.04 LTS VM in XenServer 6.2 by following all those steps! I didn’t know much better about this before today, so it is a great reading for me. If you need customwritings.com reviews just check it now. Thank you s much and keep posting things like this. Have a good day! 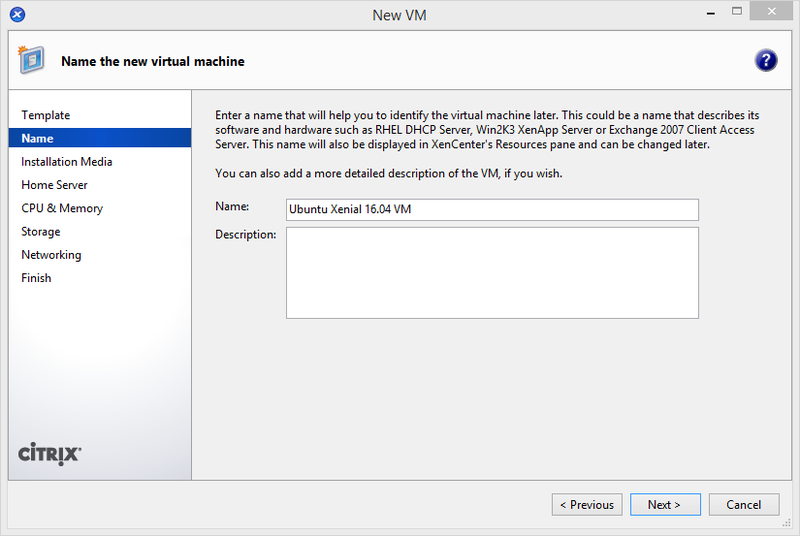 Helpful tutorial to Create Ubuntu 16.04 LTS VM in XenServer 6.2! I will try this as soon as possible. If you need quality writing service just visit essay website now. You will get quality writing always. Thank you so much and keep posting things like this.